350mm overhead ticket carrier for Euro Hooks. Perfect for displaying a variety of retail products. Especially made for use on euro hook hangers. Designed to be position in seconds and allows you to save valuable space on the shop floor. HIGH QUALITY - Made with mild steel and 4mm diameter prong. FINISH - Clear Plastic - modern finish enhances both your products and display. 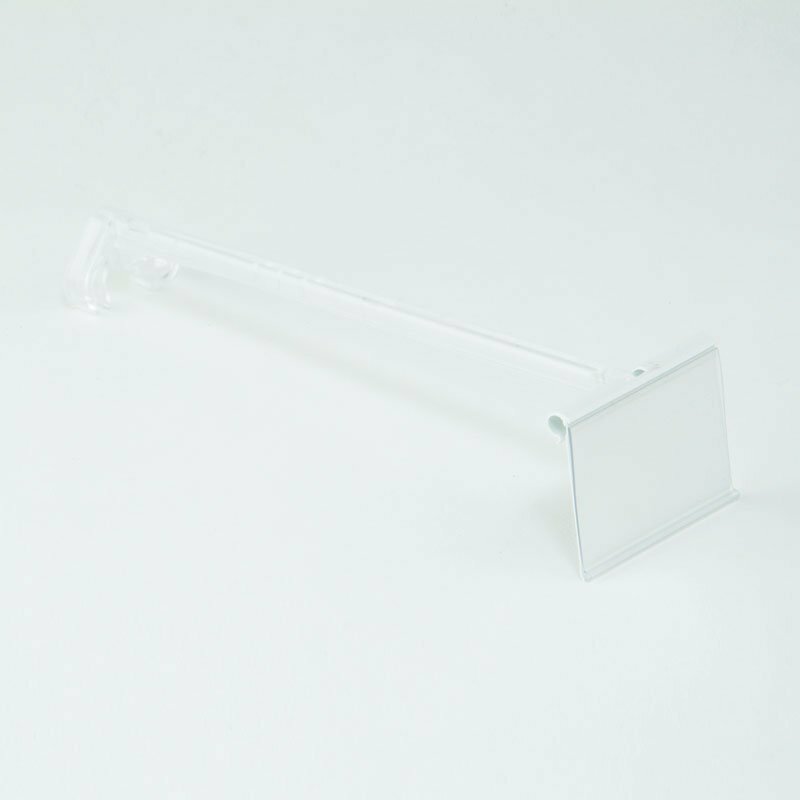 Clear plastic rod with white ticket. Carrier for use on Euro hooks. Complete with slide in 39mm x 55mm ticket.